Great fun for your event and will bring lots of smiles and laughter to all. Makes a great additional hire for bouncy castles and outdoor games. The object of the game is to push, pull or trip your opponent off the mat (supplied). The first person to do this is the winner! Contendors are you ready?… Gladiators are you ready?… 3…2…1… Fight! 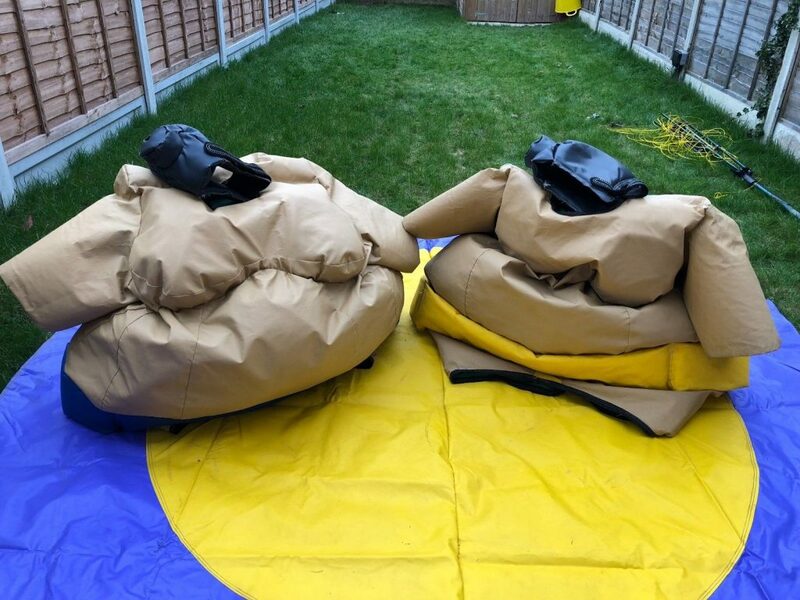 The sumo suits must be supervised by your designated responsible adult who will be required to police it at all times whilst fully operational.